We’ve already looked at ripping DVDs to MKV format for backup. Sometimes you’ll want to rip audio from a live concert DVD to MP3 so you can listen to it on your mobile device. Here’s how to do it with DVDFab. 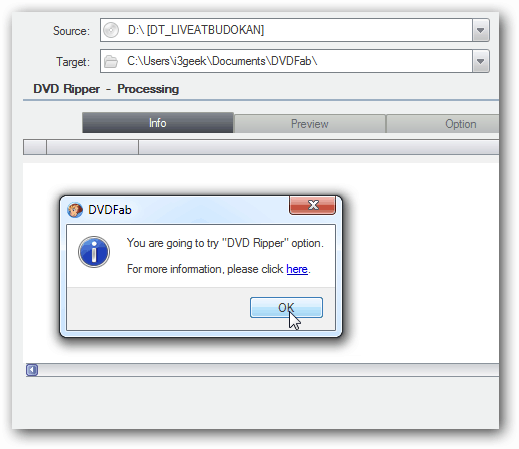 First, download and install our favorite DVD ripping program DVDFab. It’s free for 30 days, then you need a license. But the DVD Decrypter feature is always free to use. Using DVDFab removes the copy protection on the DVD so you can rip the audio. Pop the concert DVD in your system’s DVD drive. DVDFab will analyze it. Then under DVD Ripper select Audio. Verify the source is the DVD and the target is a convenient location on your hard drive. For Profile, select between audio.copy, MP3, WAV or MP4. Here I want an MP3 file. Select audio.MP3, then click Edit. Now in the lower left corner, select the quality of the MP3 file you want. Here you can select the channel and adjust the volume level. Now that the audio options are selected, click Start. You’ll see the following message pop up. Click OK.
Now kick back and wait while the DVD audio is ripped to the format you selected. The amount of time it takes will vary depending on your settings, system hardware and size of the DVD. All done. Click OK, Finish and close out of DVDFab. Go to the location of the output file and enjoy your live concert audio on your portable player or favorite media player. There are several programs out there that will let you rip DVDs to MP3 or other audio formats. DVDFab, just happens to be my favorite. What about you guys? Leave a comment and let us know your favorite way to rip concert DVDs to MP3. As a DV photographer, I purchased Sony HDR-AX2000 which creates MTS files that can’t be read directly by FCP. But I am lack of skilled computer program instructions. It couldn’t seem to pick a correct encodings to get the audio and video to stay in sync. 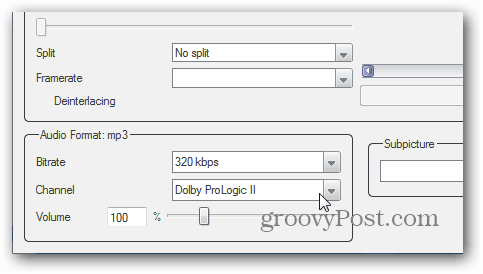 How to Convert Concert DVD to MP3 for iPod?